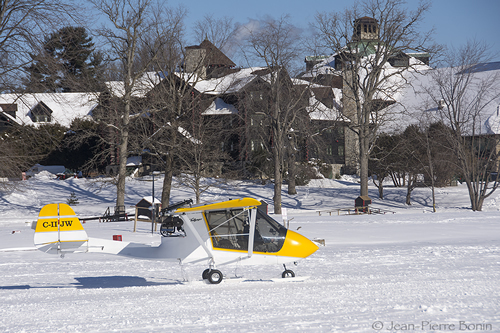 The ultralight category covers aircraft from very slow and basic aircraft, like powered parachutes, to fast cross-country speedsters – so there is something for almost everyone in the ultralight world. Because all ultralights are “owner-maintenance” the owner can do the maintenance or hire someone to do it. The paperwork requirements are much simpler for ultralights, too. 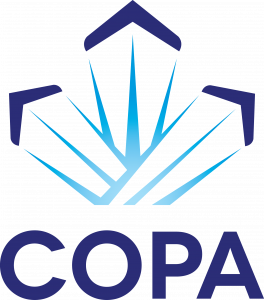 COPA’s Guide to Ultralights is an excellent resource for anyone considering getting into AULA or BULA operations. Basic Ultralights (BULA) are not designed, constructed or maintained to any particular standards. The aircraft could be single seaters or “two seat instructional aeroplanes”. The minimum pilot document was a “Pilot Permit – Ultra-light Aeroplanes”. The ultralights themselves were registered in the “C-I” series but flew without any type of flight authority, such as a Certificate of Airworthiness. Passengers were not allowed. To get an individual aircraft registered as an AULA the aircraft design must have been evaluated by the manufacturer against the requirements of the LAMAC Design Standards. If the manufacturer confirms that it meets the standard then they submit a “Declaration of Compliance” (D of C) to TC and the aircraft will be entered on the list of accepted AULAs. 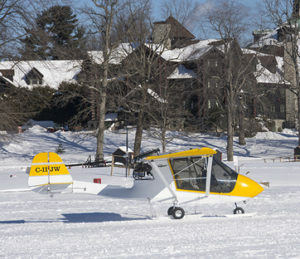 You can find the list on the TC website at http://www.tc.gc.ca/eng/civilaviation/standards/general-ccarcs-advancedullist-2036.htm. After constructing the individual aircraft, the owner receives a “Statement of Conformity” (S of C) for the individual aircraft from the manufacturer that shows that that individual aircraft was constructed to the type definition and therefore meets the requirements for AULA registration. The biggest and most obvious difference is that an AULA can carry a passenger if the pilot has (currently) at least a Pilot Permit – Recreational or higher licence. BULAs cannot carry passengers. There are, however two instances when two people can fly together in a BULA. One is if they are an instructor and a student pilot. The second is when they are both pilots with licence privileges on ultralight airplanes. Today BULAs can have a maximum gross weight of 1200 lbs and two-seat AULAs can have a gross weight of 1232 lbs. AULA pilots and passengers do not have to wear helmets, while BULA pilots, instructors and student pilots do. It may be wise to wear a helmet in an AULA anyway, but with AULAs you have the choice. BULAs do not have any standards for maintenance. This means that the maintenance is up to the owner. AULA owners must maintain the aircraft in accordance with the Manufacturer’s Specified Maintenance Instructions and keep records of the maintenance performed. Mandatory Actions are the ultralight world’s equivalent of Airworthiness Directives. They are voluntary for BULAs and mandatory for AULAs. Owners of BULAs can make any modifications that they like to the aircraft. Owners of AULAs must get the manufacturer’s written authority to make any modification, no matter how small, to the aircraft. AULAs must comply with the requirements set forth in CAR 605.14. BULAs, governed under CAR605.115, need only an altimeter and compass to fly in Class E airspace and a two-way radio for clearance into other controlled airspace. Under CAR 602.29, BULA are restricted from Class “E” airspace. AULAs may operate in any airspace in Canada now (except Class A), if they are appropriately equipped and that will not change under the new CAR 603.79. Any aircraft that can qualify for the BULA category can be imported into Canada and registered without any difficulty. Importing an aircraft into Canada as an AULA can be done, but is more complex. To start off with the aircraft must be on the accepted list. Next the manufacturer must be willing to issue an S of C for the aircraft. If those two conditions can be met then you can register it as an AULA. Both BULAs and AULAs have the same restrictions on use in Canada. They can be flown for recreational use and for hang glider towing or flight instruction for “hire or reward”. Neither can be used for carrying passengers or freight for “hire or reward” and neither can be used for any hire or reward” aerial work flying including banner towing, crop spaying, pipeline patrol, aerial photography or any other commercial use. The same is true for AULAs but the seller must also sign a Fit For Flight Form (FFFF) that the new owner will need to register the aircraft. This form certifies that the aircraft has been maintained in accordance with the manufacturer’s requirements, that it has not been modified without the written permission of the manufacturer and that all mandatory actions have been complied with. BULAs can be converted into AULAs as long as the aircraft has not been modified without manufacturer’s written permission, it is on the approved AULA list and the manufacturer is willing to issue the aircraft with an S of C then it can be re-registered as an AULA. AULAs can likewise be converted into BULAs, provided that the aircraft meets the requirements then it can be re-registered as a BULA. Note that currently BULAs have a lower gross weight of 1200 lbs versus the AULA gross weight of 1232 lbs. TC will not allow the gross weight to be lowered when re-registering in a different category. In moving an AULA to the BULA category, you give up your passenger-carrying privileges, but can modify the aircraft.